This week Dexter had his first full week at the childminder’s and he has absolutely loved every second. It’s been great to get updates throughout the day and in this gem of a photo Dexter is pretending he is Harry Redknapp on transfer deadline day. 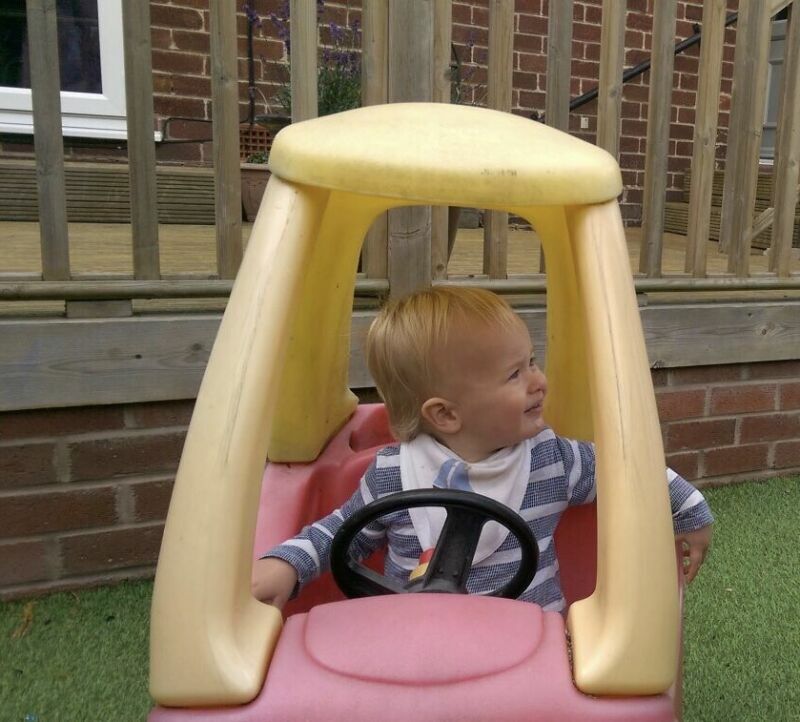 Tomorrow I am going to write a little more about our experience so far with full time childcare including what I’ve learnt during the first week. Harry Redknapp on transfer deadline day!? as in getting interviewed by sky sports in his car as he’s leaving the training ground to go home to Sandra? !